When you have missing shingles, warped or water damaged panels, spots of deterioration or wear and tear from the sun, or any other type of damage, it is going to take away from the strength and durability of the top of your home. The longer you wait, the more likely it becomes that Mother Nature will make its way inside. Sooner or later, moisture will get in through weakened, rotting wooden panels, and areas that are not properly protected. This can result in leaks in your attic. Then, the moisture can eventually lead to the growth of harmful mold and bacteria which can take away from your home's indoor air quality. Our team at Towson Roofing can help you keep your home safe by providing you with professional roof replacement and repair services. 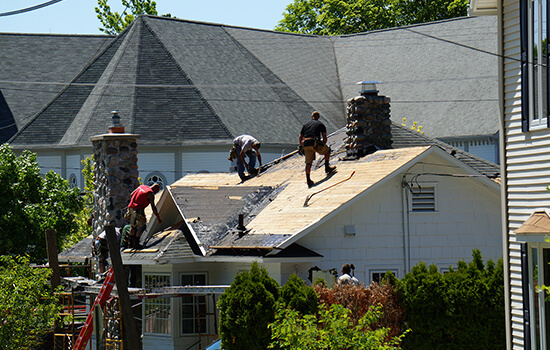 We perform roofing projects for both new construction roofing and damaged or worn out residential roofs. Our certified installers and repair staff offer years of experience and thorough care when installing a new roof. Our team uses the CertainTeed roofing system by GAF to repair and replace roofs in Towson, MD and the surrounding area. Use our visualizer below to see what your home could look like with a new roof. If you have had roof damage or have noticed missing shingles on your roof, then it may be time for you to have your roof replaced. We offer a complete roof replacement for your home to combat your roof problems. Roof tear-offs and reinstallation with new roofing products is our standard protocol for roofing services that we provide in Towson. Our team specializes in quickly replacing your whole roof faster than any competitor can. If your roof is fairly new and requires a simple fix our roofing experts are here to help. We match all types of shingles so that your roof continues to look seamless while repairing whatever damages that need to be fixed. We believe in only providing the best roofing products the industry has to offer- and with CertainTeed roofing shingles and systems you can expect beautiful designs and trending styles that will make your home stand out. Take a look at our video below and learn about the many styles included with the CertainTeed products. 1. Roof Wear and Tear - Normal wear and tear of your roof is common from standard weather conditions. Over time your roofing shingles can get worn out and begin to deteriorate. 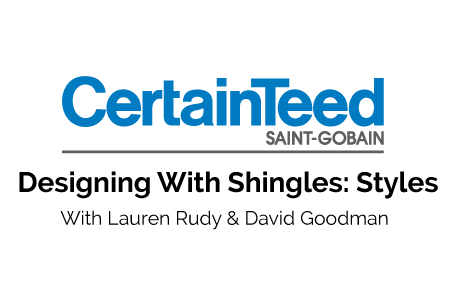 You will notice signs of 'curling' where the shingles will start to cave and curl inward. 2. Shingle Deterioration - Another form of deterioration is when the padding and miniature stone protection on top of the tar of your shingle begins to fall apart or grind down leaving it vulnerable. 3. Shingle Holes - If left unchecked for an even longer period of time your shingles can start to deteriorate entirely, creating holes in your roof. These are especially common in 'hotspots' of your roof where it's most exposed to sunlight and rain. 4. Missing Shingles - If poorly install sometimes you can have shingles that are completely missing when not secured correctly. This disrupts the flow of rain and wind, and will damage the structure of your home.